Local.com | Need Help Choosing A Tax Filing App? Say No More! So, it’s that time of the year and taxes have successfully given you sweaty palms and sleepless nights, and got you thinking that Tom Hanks in “Cast Away” lead an enviable life. Pretty soon, you’ll be rummaging through bills, receipts, and payslips looking for the ones that actually matter, burning the midnight oil trying to make head or tail of the numbers before you, and calculating how much of your hard-earned money you will be shelling out this year. While you are at it, you cannot help but agree with Einstein’s statement that “The hardest thing in the world to understand is income tax.” No amount of caffeine can ensure that you’ll finish this process and escape unscathed. Of course, this is possible if you are a professional tax preparer—which most of us aren’t—and, even a seasoned taxpayer can end up making mistakes. So, you can imagine how overwhelming the entire process can be for a novice taxpayer. Though filing your income tax returns is no rocket science, for first-timers, this feat is incredibly “taxing.” To help novice taxpayers and those who haven’t perfected the art of filing their returns, tax software programs have come to their rescue. But wait, like everything else that technology has to offer, we have to take these new additions with a pinch of salt. As the market is rife with various tax software programs, each claiming to work better than its counterparts, being the rational human that you are, skepticism will soon start lurking around. However, you are in luck here as certain tax filing apps like TurboTax offer free versions that allow you to use it for simple tax filing purposes. This will help you gauge how useful these tax software are. As there are different tax filing apps out there, the plethora of options can make choosing the right one a tedious task. So, let’s address the elephant in the room—how do these tax filing platforms work? And, how can you make sure that you have zeroed in on the right one? Well, read on to understand the benefits of the perfect tax filing platform. Easy peasy, filing taxes was never so breezy! So, the first thing that you’ll notice when you look at a tax filing app is how easy it is to use. A complicated interface is a big letdown as you are already overwhelmed about filing your tax returns, and an unfathomable interface is the last thing you would need. A tax filing app should have a user-friendly interface without the unnecessary paraphernalia. Tax filing apps like TurboTax ensure that even the young and novice taxpayers can maneuver their way through it and file their taxes with great ease. In fact, TurboTax app's interface is quite interactive and while using it, you will feel like you’re working with your own personal tax preparer. An authentic tax filing app will do what it is supposed to do best—help you file your taxes. 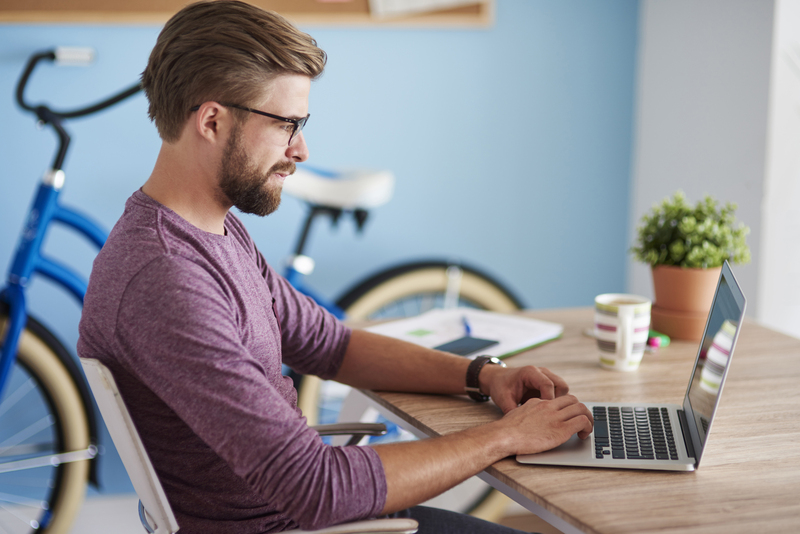 Tax filing apps like TurboTax can jumpstart your tax filing process by simplifying the first step when it comes to filing taxes, which is uploading your W-2 form. All you have to do is take a snap of the W-2 form with your phone or tablet and upload it, and you can watch in awe how your data is verified and the information is securely filled into the right tax forms. Moreover, the interview-style Q&A makes it easier for you to give the accurate details; you’ll be asked about your occupation, whether you own a home, have any children, and have made any charitable donations. The calculations are made on the basis of the details you provide, so, the onus lies on you to provide the right details. TurboTax app also ensure that the users are privy to the fastest refund ever. Whether it is federal or state taxes, electronically filing your taxes will ensure that you receive the fastest tax refund possible. It also allow you to choose the mode of receiving your tax refund; it can either be received as a check or as a direct deposit to your bank account. You wouldn’t fancy a third-party platform getting access to your income details as it can give rise to a slew of unethical activities where you will end up being the scapegoat. An ideal platform ensures that it has your back at every step. TurboTax app safeguards your information while you file your taxes for free. Been in service since 2001 that platform has multiple security measures to protect your information. These include multi factor authentication, data encryption, auto email notifications, login & device history that ensure that a free service do not always imply that a sinister ploy is at work. If you need more help with your taxes, usually you would have hired a tax professional. But, this process eats into your already diminishing money reserves. However, with the TurboTax app, you can look forward to professional help at reduced costs. The SmartLook™ feature that is the latest addition to the TurboTax app brings in the human element in the tax-filing process and ensures that you can put all your doubts to rest as a tax professional will oversee the entire process on your behalf. This feature connects you to the tax specialist via one-way video through the TurboTax app. Calculating and filing your taxes can be an arduous task, but living in the technologically inclined 21st century has its unrivaled perks. So, do not exhaust yourself worrying over taxes; opt for a tax filing app that meets your needs and watch your tax issues being resolved in a jiffy.